Jon has been helping clients with their financial affairs since 2001. He joined Blankinship & Foster in 2003. Jon serves as a lead advisor, specializing in helping busy families bring together all the aspects of their finances. 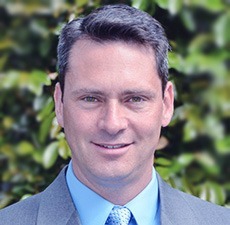 Jon is a partner and is the firm’s Chief Compliance Officer. Passionate about giving back to his community, Jon serves on Rady Children’s Hospital Foundation’s Estates and Trusts Executive Committee, the Scripps Healthcare Planned Giving Advisory Board, and is the co-founder of the Professional Alliance for Children, a public charity that provides free financial and legal assistance to the families of ill children. An active leader in the financial planning profession, Jon is a past president of the Financial Planning Association (FPA) of San Diego, and is a member of the National Association of Personal Financial Advisors (NAPFA) and the La Jolla Estate Planning, Trust and Probate Section. Jon is licensed to use the Certified Financial Planner and CFP marks by the Certified Financial Planner Board of Standards, and is enrolled to practice before the IRS as an Enrolled Agent (EA). He earned his Master of Science in Financial and Tax Planning in 2001 and his Bachelor of Science in Finance in 1995 from San Diego State University. Jon and his family live in Sabre Springs. He enjoys spending time with family and enjoying outdoor activities together.